aMuse is a modern eclectic gallery located just across the tracks from the Chatham Clocktower. The gallery features fine art, including painting, drawing, sculpture, photography, and printmaking, as well as assemblage, ceramics, jewelry, and more. aMuse offers a delightful blend of art and eccentricities in a beautiful, friendly setting. Come visit! Thursday, Friday, Saturday 11am-5pm. Sunday Noon-4pm. The Chatham Film Club is a 501(c)(3) member-supported nonprofit organization that operates and maintains the historic movie theatre on Chatham’s Main Street and produces the popular FilmColumbia Festival each October. Consulting group in the performing arts. Services include facility development, renovations and upgrades, program development and operations management. PS21 Chatham is a performing arts venue presenting Dance, Theatre, Music & Film. PS21’s programming also includes free performances for kids, workshops, and movie screenings. The new state-of-the-art theater has a flexible design housing both a 99-seat black box theater and a 300 seat open air pavilion theater. An all volunteer non-profit arts organization, presenting programs in the arts and humanities in a historic landmark schoolhouse. Musical theatre for all ages. Seven main stage shows and three Children’s Theatre shows. 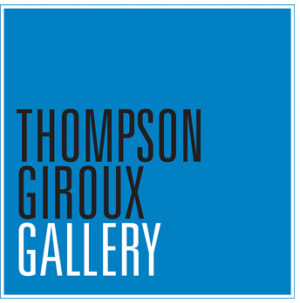 The Thompson Giroux Gallery is located on Main Street in the village of Chatham, NY. The gallery showcases talented artists working in a wide range of style and media. We support artists who make compelling and inspiring art.